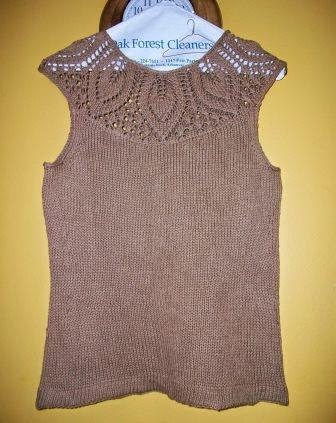 I knit a top once before using this pattern, but this one I did correctly. By that I mean the yoke pattern is properly centered. 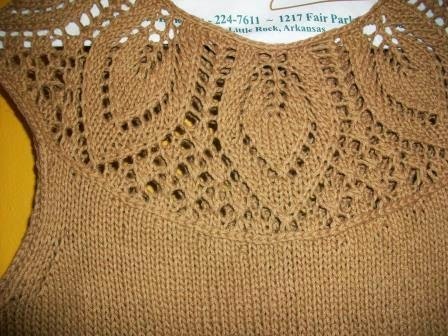 The pattern is #14 Leaf Yoke Top by Angela Hahn. The yarn is Rowan Creative Linen. Here is a photo to more clearly show the yoke pattern. 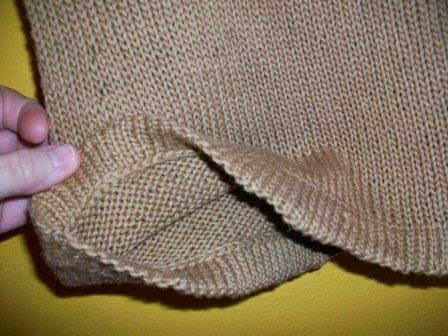 The sweater has a turned hem.